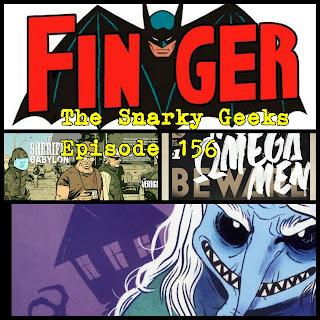 This Snark goes solo to talk about Bill Finger finally officially getting credit in the shows, movies and the comics, The cancellation and un-cancellation of Omega Men(Pre Order this! ), Sheriff of Babylon(Pre Order This!) and brings a review of Baba Yaga's Assistant by Maricka McCoola and Emily Carroll, and much more , .... you really have to listen to the whole show!